Well, maybe you don't. We find that many people still hold certain dental myths dear. For instance, many people think that those who suffer from hallitosis (bad breath) lack good oral hygiene practices. While this may be true, the real cause is bacteria that produces volatile sulfur compounds. The sulfur tends to lurk on the tongue. You can diminish bad breath by gently brushing the tongue. Another myth is that bleeding gums are normal. They are not. Bleeding gums are a sign of gum disease. They also signal the need to floss more frequently and stimulate the area around the gums. This will help reduce the chance that bacteria will enter your blood system through your gums. Do you think that the reason you should brush your teeth is to eliminate food debris? Well, of course that's one good reason. But brushing also keeps plaque from forming. 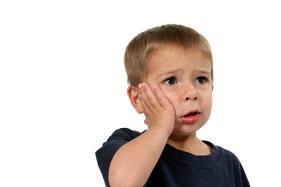 Plaque can irritate the gums and cause periodontal disease. How about those pregnant women skipping their dental checkups? Wrong again. If you develop an oral infection during pregnancy, it can affect the health of your unborn child and increase the risk of premature delivery. Be sure to tell us if you are pregnant when you come in for your checkup. 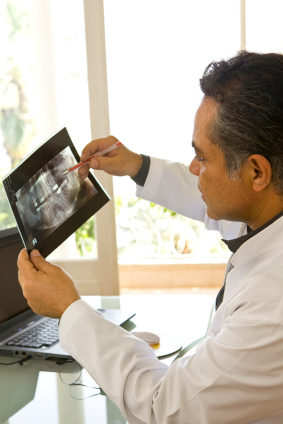 We'll gear our treatment to your condition. We want to dispel unhelpful beliefs about dental care by giving you accurate trustworthy information in our newsletters. Bring your questions and concerns when you come in for your regular checkups, too. A new Rutgers University study reveals that a fifth of New Jersey children between the ages of 3 and 18 received no dental care in the year prior to the study. Not too surprisingly, the lack of health insurance is a chief factor. Failure to get regular checkups for your children can result in additional health complications as well as a need for more aggressive treatments. Let us help keep your children healthy with regular checkups. A study of over 300 skulls from several different populations suggests that the human jaw has shortened and widened as a result of a shift from hunting and gathering to a pastoral way of life. Jaw development may have adapted as diet shifted to foods that required less force and less chewing. A British anthropologist posits that our shorter jaw could be the cause of overcrowded teeth, commonly found in modern humans.